I don’t know about you all but I’m forever hunting for more and more stories about other people who are living a similar life to the one we are leading to see just how similar it is for us all. 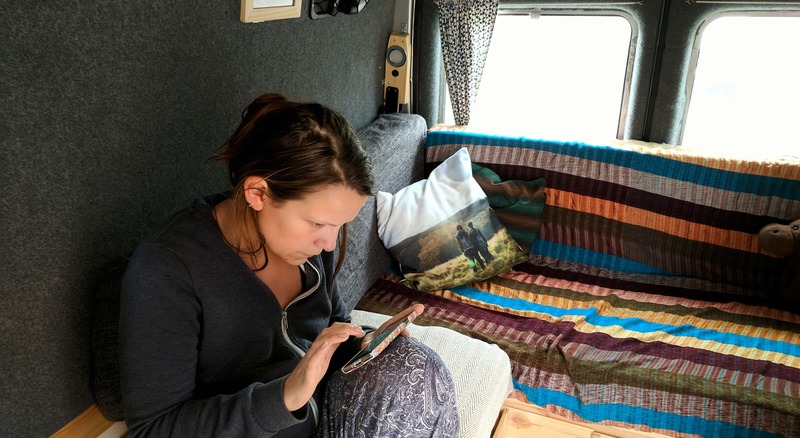 This is one of the reasons we reach out to so many other van dwellers for our interviews, we just love to hear how everyone else started on their own adventure and what drove them. That’s what brought us to Mike Hudson and ultimately to his most recent book “How to live in a van and travel“. 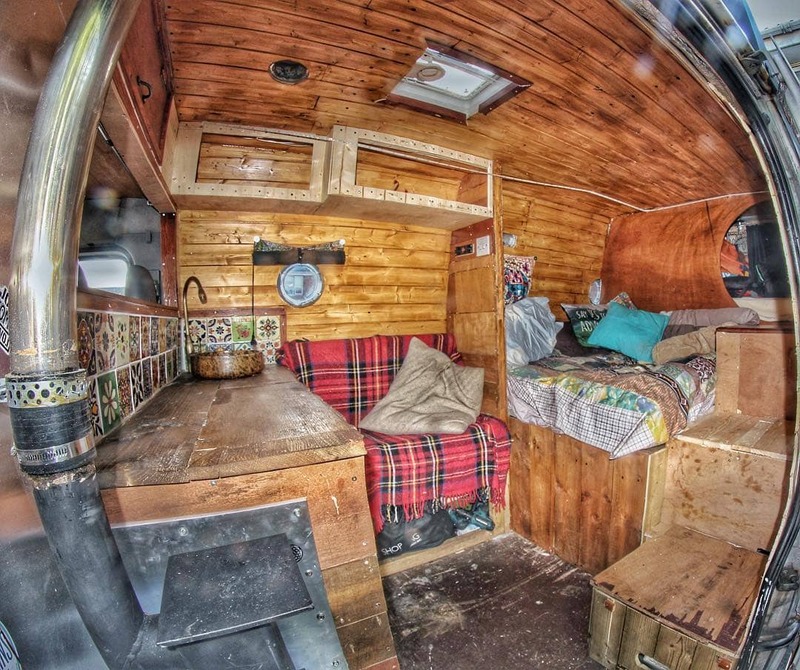 For those of you who aren’t aware, Mike Hudson is well known throughout the vanlife community (especially here in the UK) as Van Dog Traveller, a man who in 2013 quit his job to convert a van into a home and who has been travelling ever since. His website vandogtraveller.com is a font of van building knowledge which I know we used very heavily when we were starting our van conversion and where you can buy his first book “From Van to Home”. “How to live and travel in a van” is a continuation of the story Mike began telling in his first book and through his blog, the story of how and why he decided to quit his job and convert a van as well as what next, a question oft ignored in so many vanlife blogs and books. This book is much more of a technical guide as to how you too can build the lifestyle Mike has created for himself, both the home and travel however it is interspersed very regularly with tales from his own life used to illustrate the importance of what he is recommending as well to as warning to learn from the mistakes that Mike made. 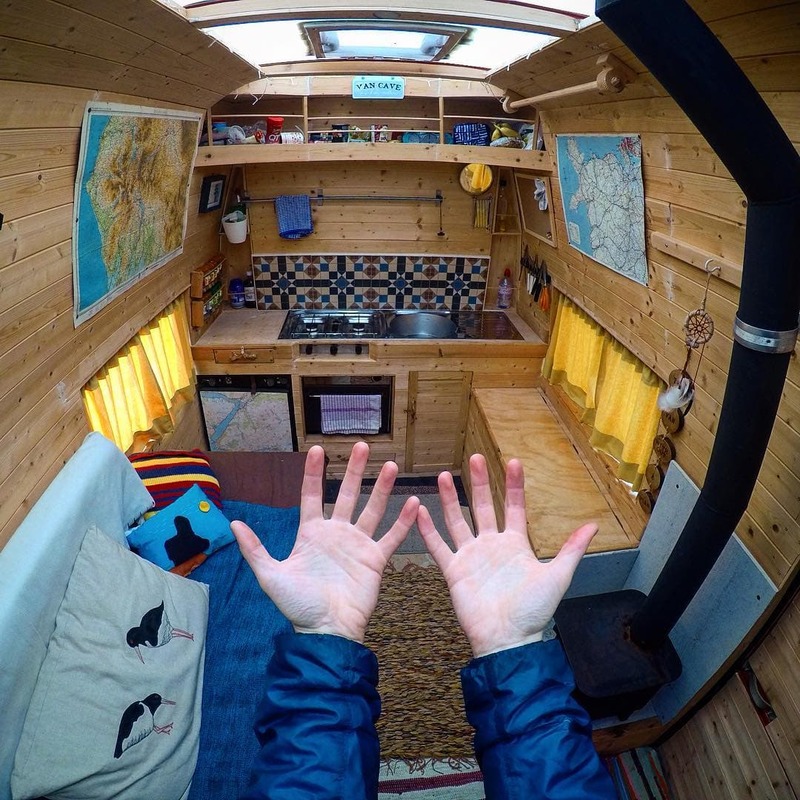 It is these glimpses into the real everyday life of a van dweller that make this book so much more than simply a how to guide for people wanting to convert a van. How do you choose the right van? How do you get on the road and keep travelling? What is life on the road really like? 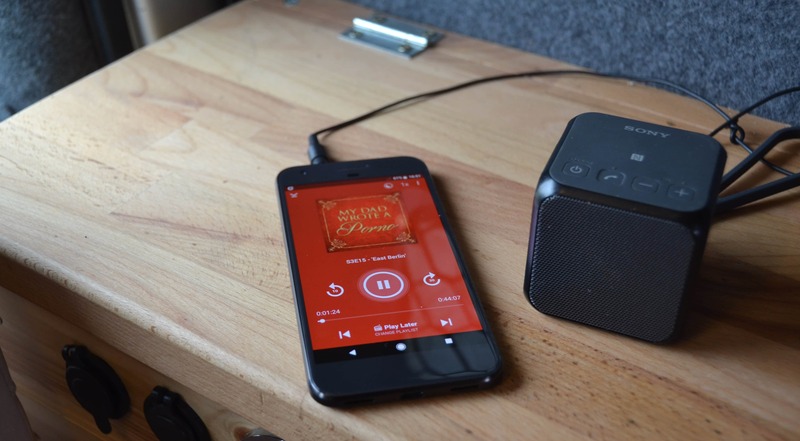 How do you make money on the road? Would I recommend this book? Yes and no. If you’re looking for a tale of adventure, of a man regaling you with stories of danger, love, exploration, discovery and filling your need for wanderlust while you’re sat in your office cubicle then no, I wouldn’t recommend this book, it’s not what you’re looking for, you’re better off trying to corner Mike in a pub or around a campfire to hear those stories. However if you are looking for an interesting and easy to read guide to what the vanlife movement is, why it is a popular way to live an alternative lifestyle, how you too can achieve this life and what steps do you need to put in place to get there then I recommend this book wholeheartedly. As with everything in life learning from someone who has lived the experience provides you with a much richer understanding of what you can expect, the challenges you’ll face and how you can get through them. From reading this book I discovered that not only was Mike living and converting the van in the same city as I was (Sheffield) however he was round the corner from my house doing it. Reading this book simply made me wish I was converting our van back in 2013 so we could have tapped Mike up for some of this knowledge, shared our experiences of converting our vans and had someone to go through the journey with however I guess reading his book years later is probably the next best thing.